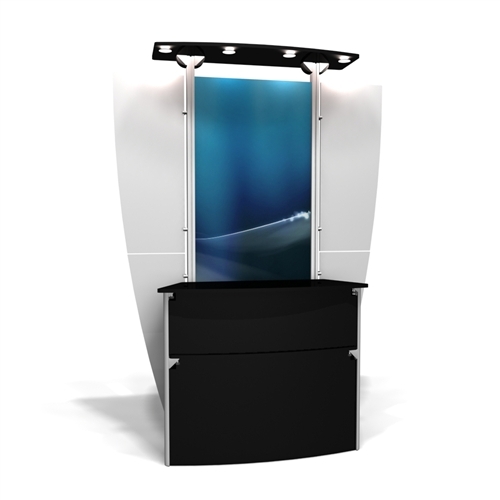 Provides a work space and a modern look, featuring an enclosed counter, closed bottom panel, and built in lighting. 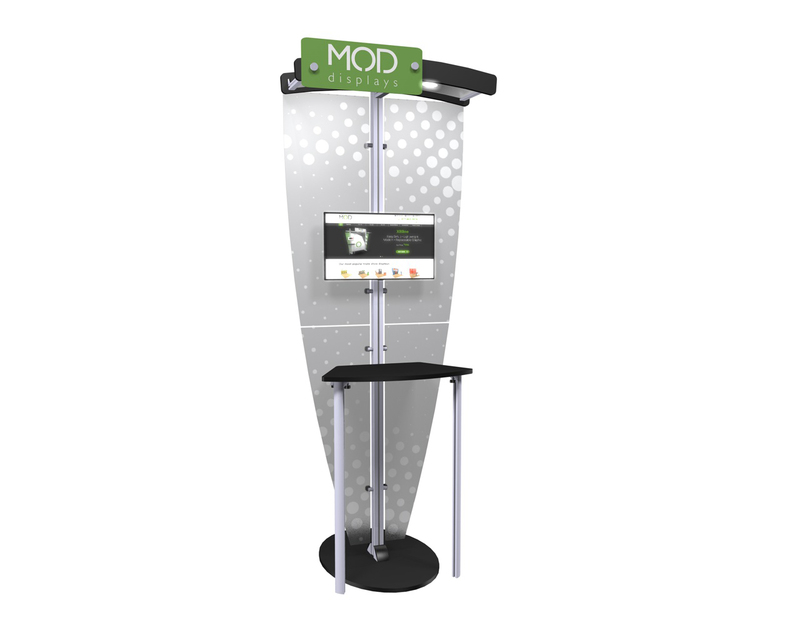 Provides a work space and a modern look, featuring an enclosed counter and built in lighting. 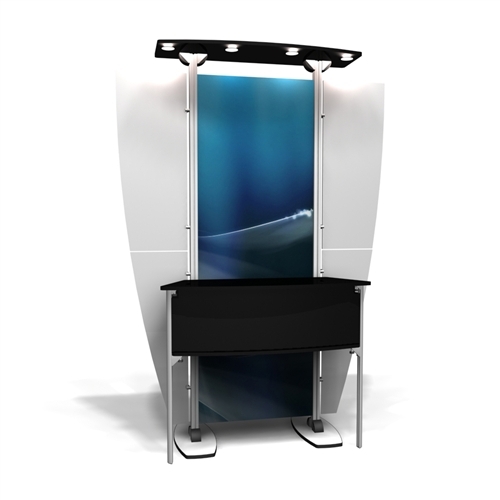 Kiosk with a modern design and bridged lighted canopy featuring a small monitor mount, a locking counter for extra workspace, and acrylic wings with printed graphics. Kiosk with a modern design and bridged lighted canopy featuring a small monitor mount, an enclosed counter for extra workspace, and acrylic wings with printed graphics. 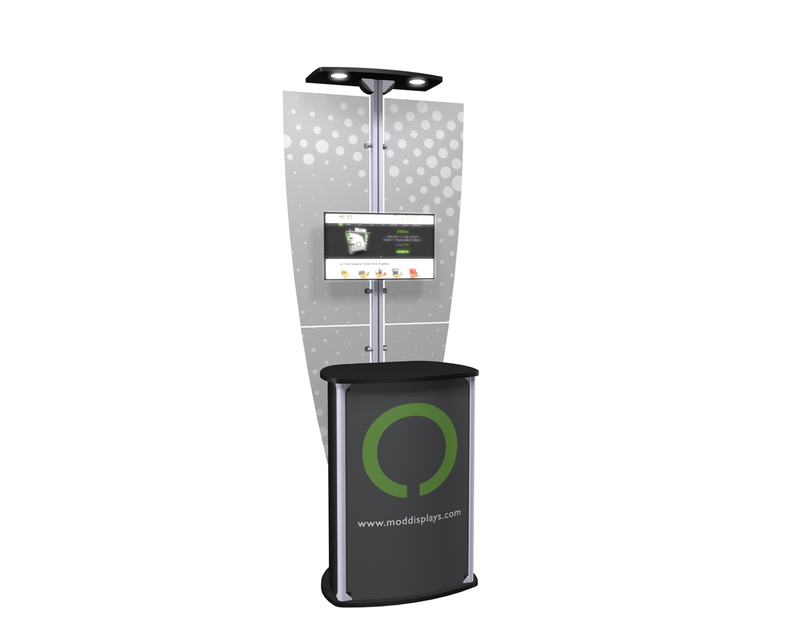 Kiosk with a modern design and curved halo header featuring a small monitor mount, a locking counter for extra workspace, and acrylic wings with printed graphics. 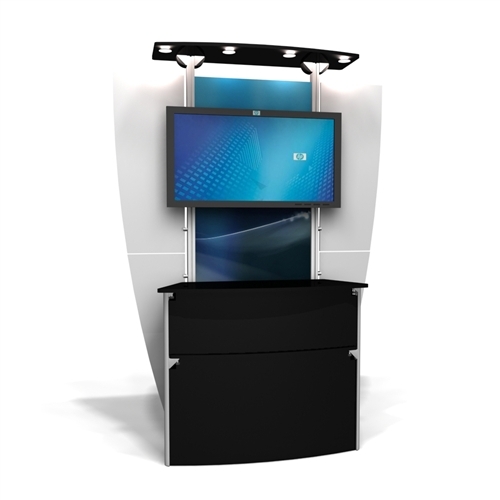 Kiosk with a modern design and curved halo header featuring a small monitor mount, an enclosed counter for extra workspace, and acrylic wings with printed graphics. 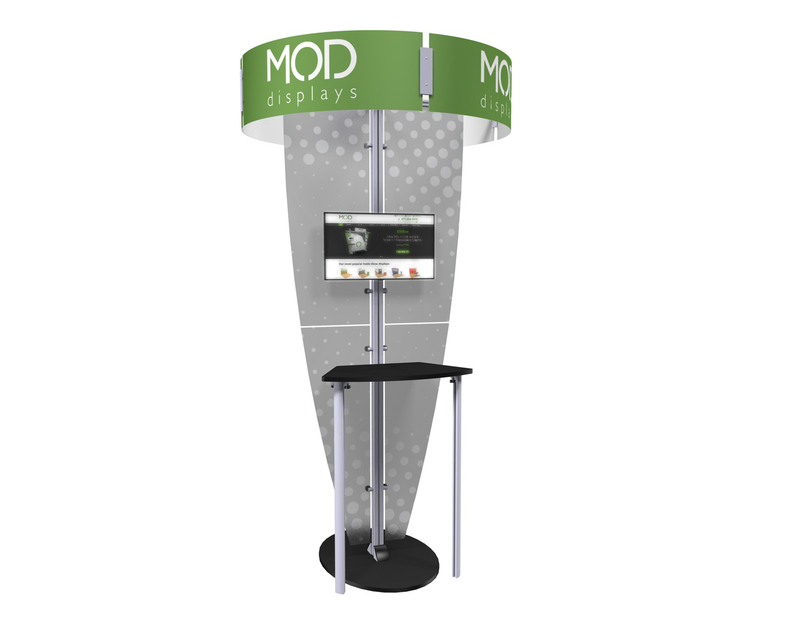 Kiosk with a modern design and bridged lighted canopy featuring a small monitor mount, a counter for extra workspace, and acrylic wings with printed graphics. 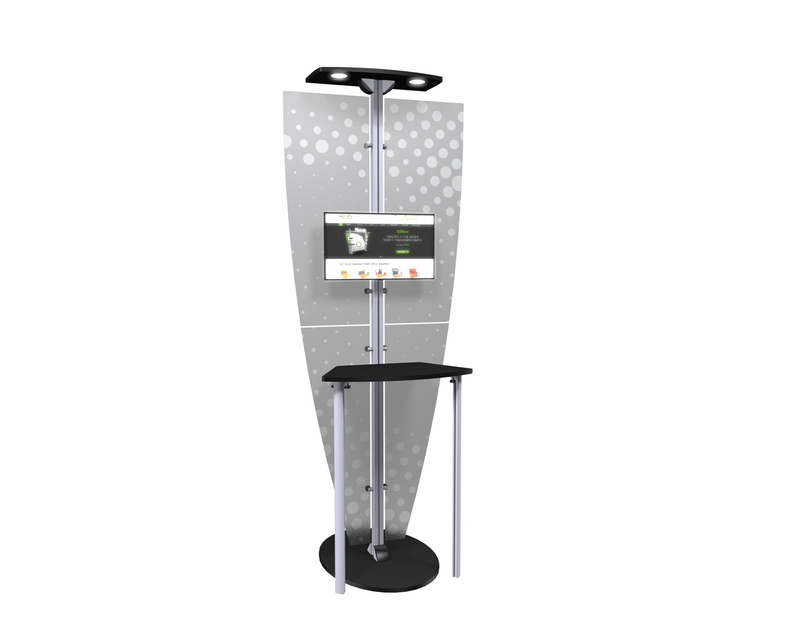 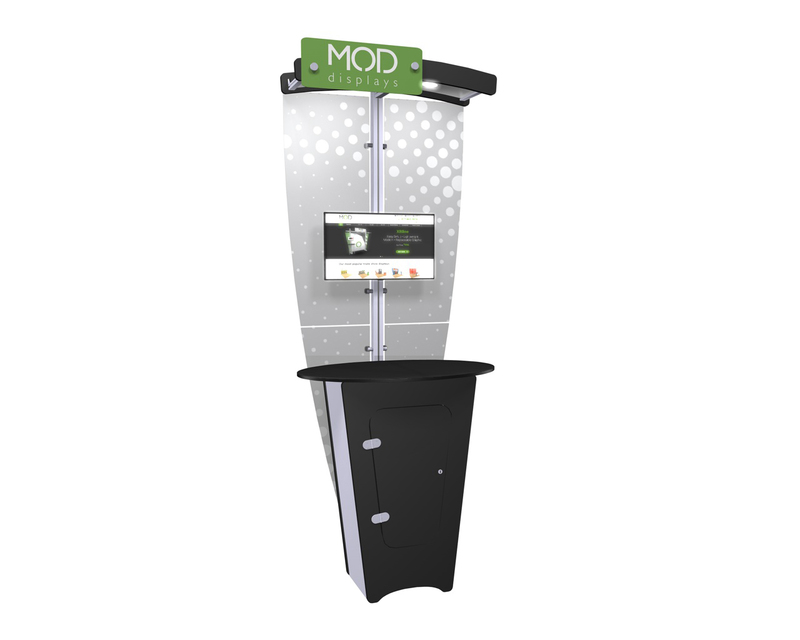 Kiosk with a modern design and built in lighting featuring a small monitor mount, a locking counter for a laptop or dvd player, and acrylic wings with printed graphics. Kiosk with a modern design and built in lighting featuring a small monitor mount, an eclosed counter for a laptop or dvd player, and acrylic wings with printed graphics. 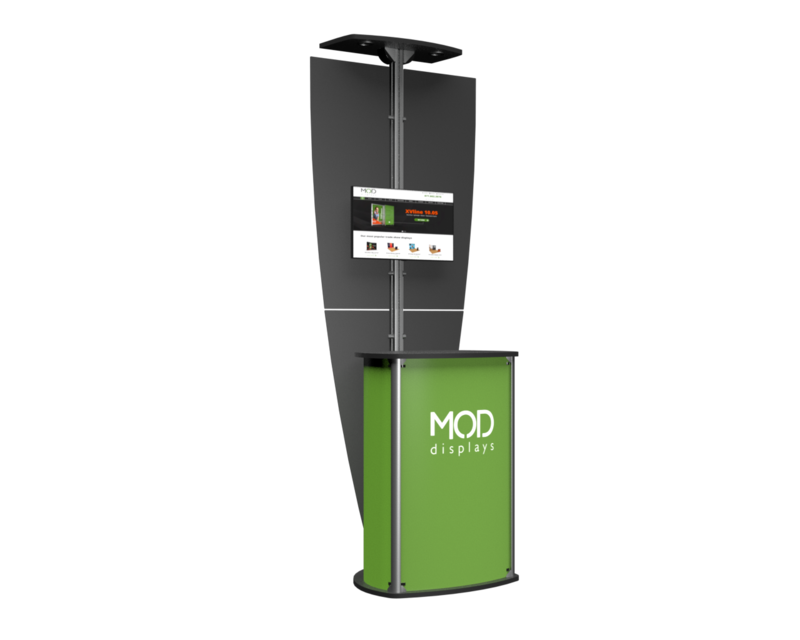 Kiosk with a modern design and a curved halo header featuring a small monitor mount, a counter for extra workspace, and acrylic wings with printed graphics. 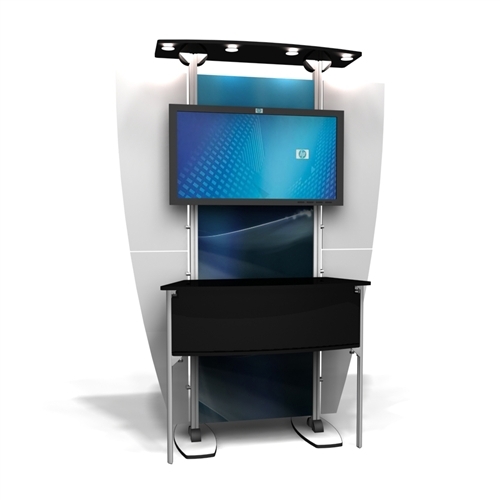 Kiosk with a modern design and built in lighting featuring a small monitor mount, counter for a laptop or dvd player, and acrylic wings with printed graphics.